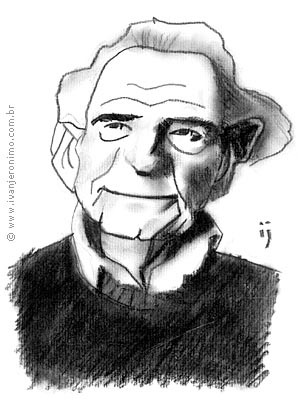 I’ve not read much of Popper, a failing I’m looking to rectify soon. However, one snippit has intrigued me – his assertion that if we can predict a solar eclipse, then we should be able to predict revolutions. Saying that, I’m not entirely sure if it was an assertion (“…we should be…”) or a question (“…should we be…”). Nevertheless, our excess of instrumentation today through the integrated digital tooling of everything means that we can measure more than ever before. With social media, an appropriate big data infrastructure with cutting edge sentiment analytics should be able to measure the pulse of a people. That’s an experiment I’d like to set up some day, and hopefully I’ll get the time to do it. In the mean time, I’m going to keep reading. The Guardian are running a series on Popper, starting with an introduction (using words like verificationism, and falsificationism, which both sound made up). The second article deals with induction and logic, arguing that a theory cannot be scientific unless it is falsifiable. He also argues – or at least Liz Williams interprets his argument thus – that “scientist should reject theories when they are falsified.” I think if you put those two together, it means that, ultimately, scientists should reject all scientific theories. Which begs the question what does “scientific” mean? The third article then rejects politics as science. Marx apparently was of a view that his system of political thought was predictive, which I don’t understand. That politics is predictive I can understand. But why should his system of political thought be predictive, and not other systems of political thought? Why political thought, and not merely politics? Predicting behaviour is one thing, but predicting thought? I need to understand that more. An intriguing criticism of Marx was put as follows: “Marxism principally consisted of unfalsifiable claims, and it was a historicism. It could not, therefore, be described as scientific.” This notion of falsifiability needs work. There are some logic issues I need to delve into, and I worry sometimes that this is a younger man’s sport – I’m not that old, but generally speaking it appears to be a field of study best explored in your twenties and even before. Popper’s thought appears to have reached something of an epiphany at the age of 17. That he was thinking of anything other than beer and women at that age seems anathema to me, maybe I am that shallow! Still, we’ll soldier on.